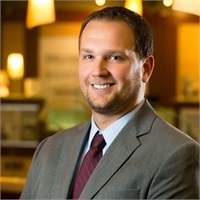 Paul began his career with the State Bank of Cross Plains in October, 2014 and has over ten years of experience in banking and financial services. Paul earned a Bachelor of Business Administration degree with a major in Finance from the University of Wisconsin-Oshkosh. His education, along with his previous experience, makes him a great asset to our team. Paul focuses on a comprehensive planning process; whereas, he not only looks at today’s need but also plans ahead. Guiding each client through a process of determining what is a reasonable expectation from their investments along with working to mitigate risk wherever possible. Tax-smart investing, individual retirement planning, small business retirement planning, college planning and insurance are his areas of emphasis. Paul grew up in the Monticello area and now lives in Barneveld with his wife and two sons. Outside of the office Paul enjoys traveling, golf, cooking, playing drums and spending quality time with his family and friends.